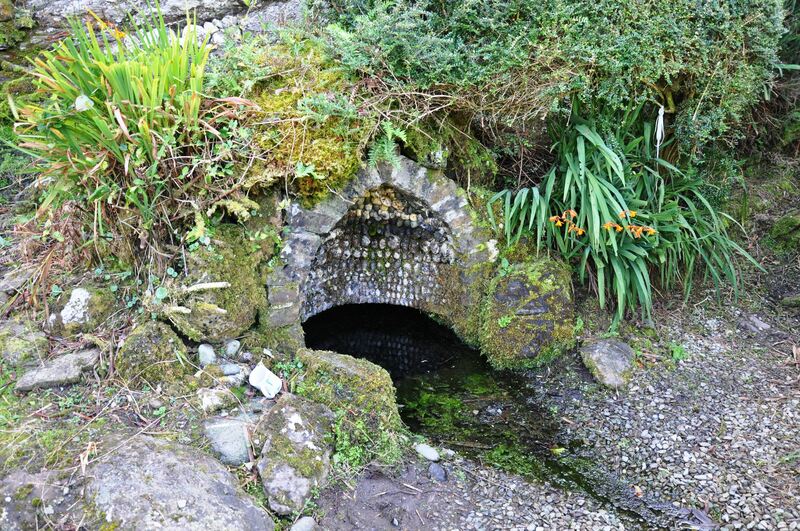 This is a short video clip of St Brigid’s Well, Liscannor, Co. Clare. The well is housed in a small grotto. A short passageway leads to the well, which is un-roofed allowing natural light in from above. The water flows out from the hillside and gathers in the well font. The video captures the steady gentle movement of the water, with its calming tones. A large range of statues, holy pictures and votive offerings, including rosaries, flowers (both fake and real) and small personal objects can be seen around the well. These objects cover spaces and shelves on the walls, and are jammed into any available gaps. St Fanahan’s holy well complex, Mitchelstown, Co. Cork. A collection of photographs taken on the afternoon of Sunday, 25th November 2012, which is the feast day of St Fanahan. The seventh century saint, who is referred to as a warrior monk, is the patron of the town. 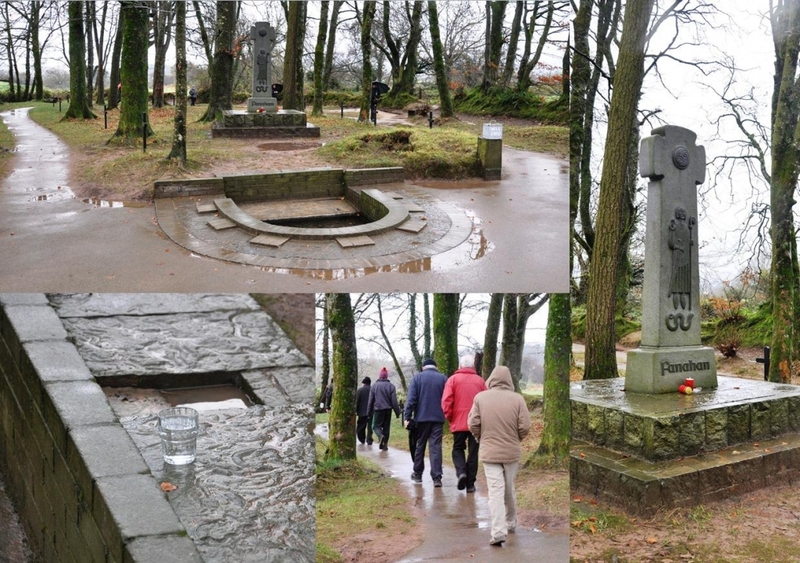 Photos, clockwise from top left: The holy well site just north of Mitchelstown, the well, with a semi-circular concrete border, is to the fore, a stone cross, some trees and a circular path are behind it; the stone cross, including a sculpture of the saint, with a sword in his belt and holding a staff, above a serpent, and a number of artificial candles surround it; a group of pilgrims do the pattern around the site, involving rounding, saying decades of the rosary, stopping at the well, blessings themselves and consuming the water; a glass, with some well water still in it, stands on a flagstone by the well, left by one pilgrim, awaiting another.